Researching family history fills me with delight and can have many unexpected consequences. Some discoveries, however, are not particularly pleasant. 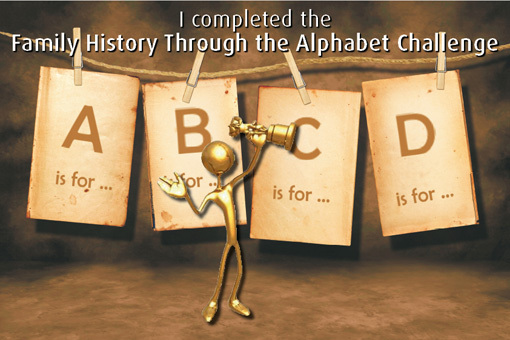 One extremely valuable outcome is to be alerted to health problems which have been passed on through the generations. What a surprise it was to come across info about the “FH Morocco Gene” and immediately recognising that my husband, and our children and grandchildren, could well be carrying the life threatening “Barossa Heart Gene”. 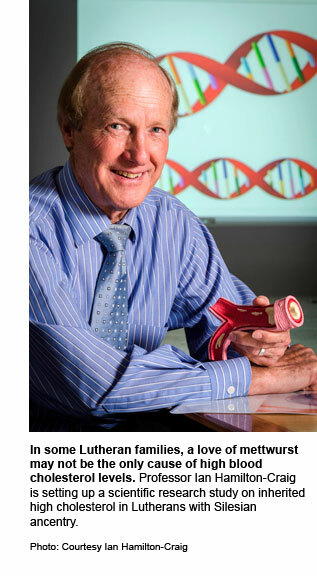 Professor Ian Hamilton-Craig, from the Griffith University School of Medicine, has been working with local doctors in the Barossa region of South Australia with the aim of identifying carriers of the familial hypercholesterolemia (FH) gene in a bid to provide them with treatment and reduce their risk of premature heart disease. 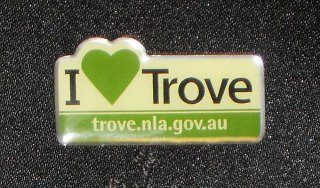 He noticed, when working in his cardiology practice in North Adelaide, that many of his patients from the Barossa area who were of German Lutheran background and a significant number from the Silesian area were at risk of early death because of a special gene mutation and causes very high cholesterol levels which can lead to death by heart attack at a very young age. “People with FH, whose cholesterol is untreated, usually show very early coronary heart disease and can even die prematurely,” Professor Hamilton-Craig says. “FH is one of the most common metabolic diseases of genetic origin. We think it may be even more common than type 1 diabetes and it’s all due to a single gene mutation affecting cholesterol. We would like to hear from anyone in Australia who thinks he or she may be descended from these early Lutheran settlers, and who may have a high cholesterol or family history of premature coronary heart disease’, he said. It can exist in thin people who have a good, low fat diet. Prof Hamilton-Craig stresses there is no need for people to be unduly concerned. It happens that both of my children’s paternal great grandparents, Maria Mathilde Grosser and Emil Wilhelm Habel, are of Silesian descent. 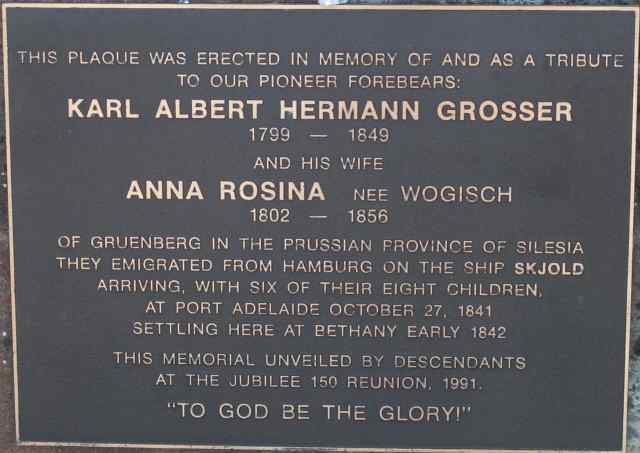 Karl Albert Hermann Grosser, and his wife Anna Rosina Wogisch Grosser, were amongst the second wave of Lutheran immigrants to South Australia who were fleeing religious persecution. Accompanied by Pastor Fritschke. They travelled aboard the “Skyjold” arriving in Port Adelaide on 27 Oct 1842 with their six children. Their third child, Hermann Eduard Louis Grosser was 10 years old when arriving in South Australia and is the father of Maria Mathilde Grosser. Interestingly Karl Albert Hermann Grosser, died at the early age of 50 and his son, Hermann Eduard Louis Grosser, my children’s 2x Great Grandfather, died aged 49. Premature death is one of the “markers” we’re encouraged to look for in our family records. On the Habel side of the equation, Maria Mathilde Grosser married Emil Wilhelm Habel who is also of Silesian descent. My research shows that the Habels were slightly later immigrants. They came as a family group… i.e. mother, father and adult children (some with spouses) aboard the “Johann Caeser” arriving in Port Adelaide, South Australia, along with approximately 268 other German and Prussian migrants, on 1 Jan 1855. 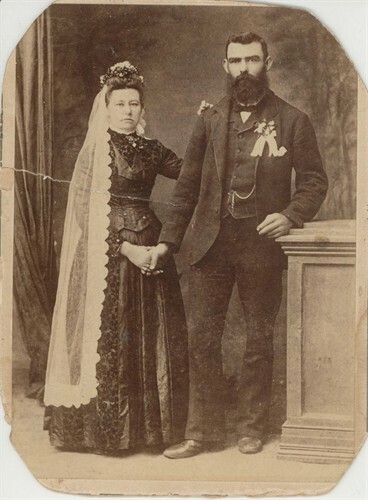 Emil Wilhelm Habel, my children’s Great Grandfather was a first generation South Australian, born in Lyndoch on the 12 Jun 1856. 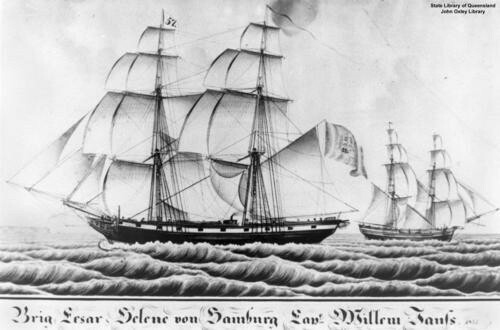 The first child of Johann Friedrich August Habel and Johanne Henriette (Siefert) Habel who arrived on the “Johann Caeser” along with his parents, brothers and their spouses. Johann and Johanne took up residence in Dutton, South Australia where Johann became highly regarded with his sheep breeding and involvement in civic matters, particularly as Chairman of the Truro District Council… but that’s another story for another day. So there you have it. Thanks to my family history research we now know about this “Barossa Heart Gene” and what the next step needs to be. You gotta love the Internet, eh?